A cute new makeup bag by Tory Burch. 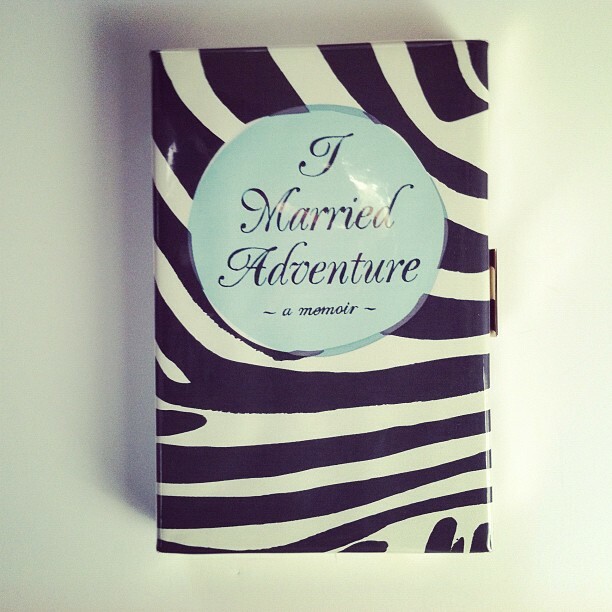 A sweet wedding gift from Kate Spade. A vintage stool I plan to spray paint. These are all cute but I especially love the wine break. I was just married in June in Healdsburg and have spent the past two months getting back into cooking (not having to worry as much about the dress fittings) and reminiscing on the day with plenty of wine breaks. Congrats! 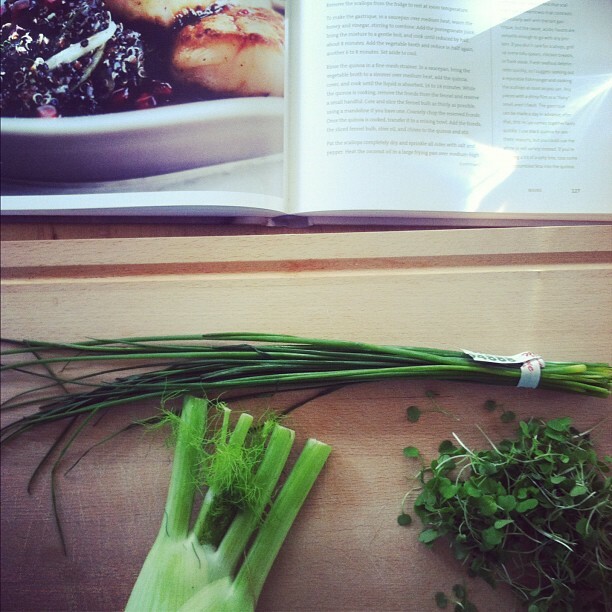 I really want to get Sprouted Kitchen's new book! 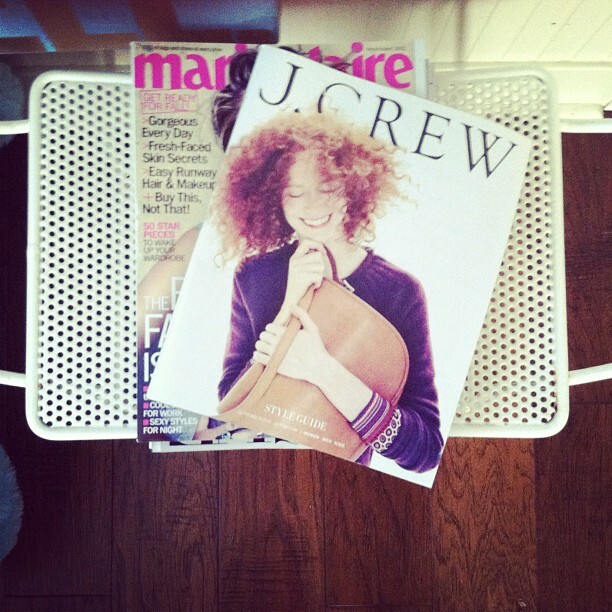 Her blog is amazing so I can only imagine what kind of goodness is in the print version! The Kate Spade book clutch is so perfect!!! J'adore! A wedding gift from Kate Spade! Wow lucky girl. So cute. That little fox bag is too cute! That make-up bag is adorable, good selection of snaps. i follow your style, your life style and your blog! its so nice!! The Kate Spade gift is really cute and thoughtful. The best kind of gift. Oh I know how difficult it can be to get back into cooking after a vacation. It looks like you have some great herbs. great photos - loving that make up bag, good choice! LOVE THE TB MAKEUP BAG! I love that make up bag! so cute! Cute snaps! 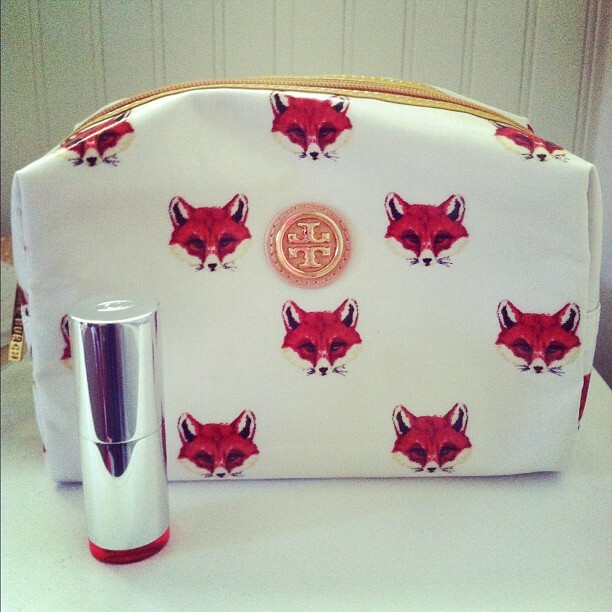 That Tory Burch makeup bag is way too cute! i like the quirky design on the tory birch make up bag. a wine break is always very welcome around these parts. I've been looking for a new makeup bag, I love that Tory Burch number! Love every single picture. Love your blog so much. I love the foxes ! that tory cosmetic bag is so cute! That wedding gift is really really sweet. You are a very lucky and blessed girl. That make up bag is just amazing. Very very nice one. Definitely what would I love to have for myself.